Make a chic, striped beanie in no time flat! 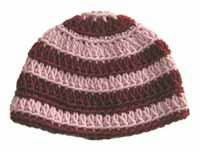 This pattern is ideal for the beginning crocheter looking for a first project. 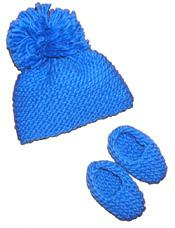 Simple double and single crochets are worked in the round using a chunky, soft merino wool/acrylic blend yarn. A size L hook makes this a fast project! Instructions are very easy-to-read, with NO abbreviations.